Complete loss of hair in patches, chiefly of the scalp. 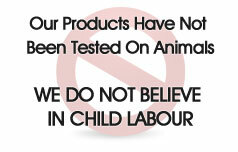 Persons most commonly affected: Tends to occur most often in children and young adults. However, it can also affect older individuals. 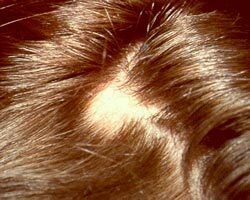 Causes and risk factors: Current evidence suggests that alopecia areata is caused by an abnormality in the immune system. This particular abnormality leads to autoimmunity. As a result, the immune system attacks particular tissues of the body. In alopecia areata, for unknown reasons, the body's own immune system attacks the hair follicles and disrupts normal hair formation. Biopsies of affected skin show immune cells inside of the hair follicles where they are not normally present. What causes this is unknown. Alopecia areata is sometimes associated with other autoimmune conditions such as allergic disorders, thyroid disease, vitiligo, lupus, rheumatoid arthritis, and ulcerative colitis. Sometimes, alopecia areata occurs within family members, suggesting a role of genes and heredity.